I am passionate about interior design and chose it for my career…but, I am also passionate about fashion design and for those of you that know me know I LOVE CLOTHES and all things fashion too! Because I write a design blog, I like to bring all kinds of design and art to my readers and this week I thought I would share my fall fashion picks for 2011. If you love color you will love the fashions for the fall. Gucci has chosen a beautiful leafy green color that really looks great with blond hair. I love the textured wrap in lieu of jewelry. The added volume by Gucci’s accessory is all the bling you need for this ensemble. Looks left to right; Rag & Bone’s has balanced this layered look with a fringed poncho. Jason Wu is always a fav of mine and he did not disappoint me with this flirty luxe laced, above the knee purple dress. 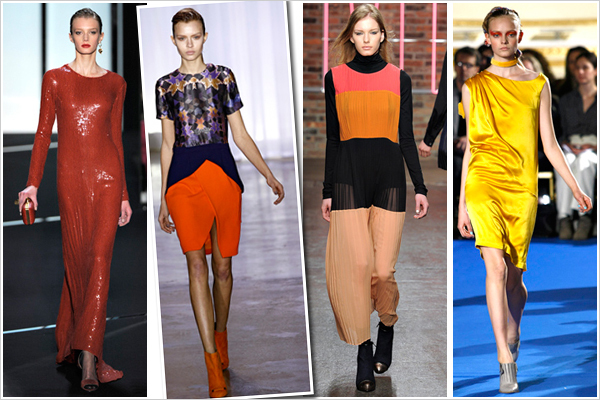 Again, MORE COLOR from Diane von Furstenberg, Preen, DKNY and Thakoon…I think I am going to love the fall! What I will not love this fall is this Betsy Johnson get-up and go outfit. It is like the 70’s with 80’s throw up all over it! Michael Kors collection may lack the bright colors but, not class. One of my favorite colors is classic warm beige. Notice his touch of fur with his line. Fur accents are going to be big this fall and I must say it excites me..purrrrrrrr! 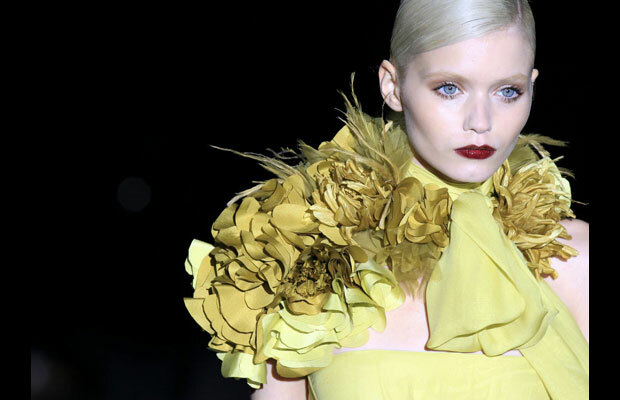 The fall 2011 collection from Donna Karan and her team was called New York Mods. Donna Karan needs no color to be stand out with these styles, LOVE, LOVE, LOVE IT! Fall is full of fur and this one shown in a pastel outfit shows that you have a rainbow of choices for the fall. I am a designer who loves ALL things design and I love to color outside the lines whether I am designing a room or myself. 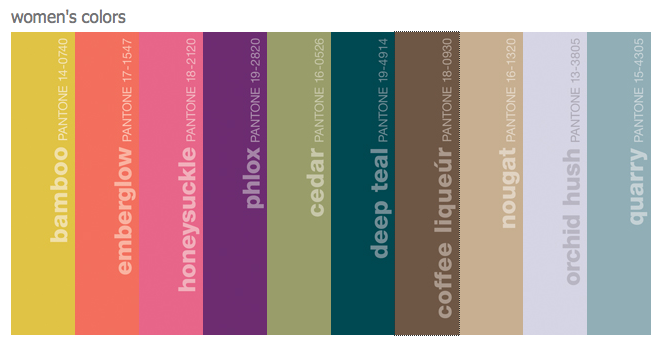 This pantone mix makes my mouth water and I can not wait to shop for my fall must haves! Shoes are a Girl’s Best Friend!